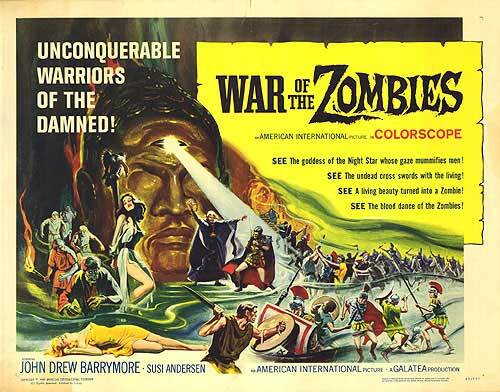 “Unconquerable warriors of the damned!” screams the US poster for War Of The Zombies. “SEE the undead cross swords with the living! 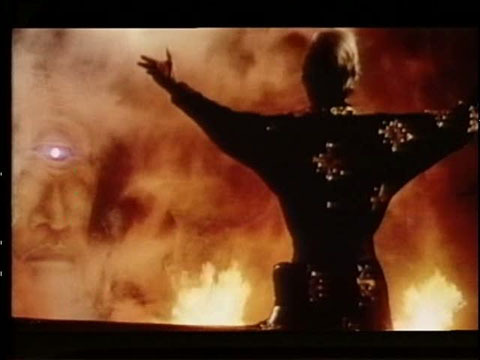 SEE the goddess of the night whose gaze mummifies men!” Sounds to me like the premise for one of the most incredible horror films ever. Imagine then your reaction when the film unspools and it’s YET ANOTHER ITALIAN SWORD AND SANDAL MOVIE! As if American theatre screens and televisions weren’t inundated enough in the early to mid Sixties with peplum-themed product, the films’ distributors – in War Of The Zombies’ instance, American International Pictures – were forced, as the peplum cycle was grinding towards its demise, to primp up or flat-out lie about their content. 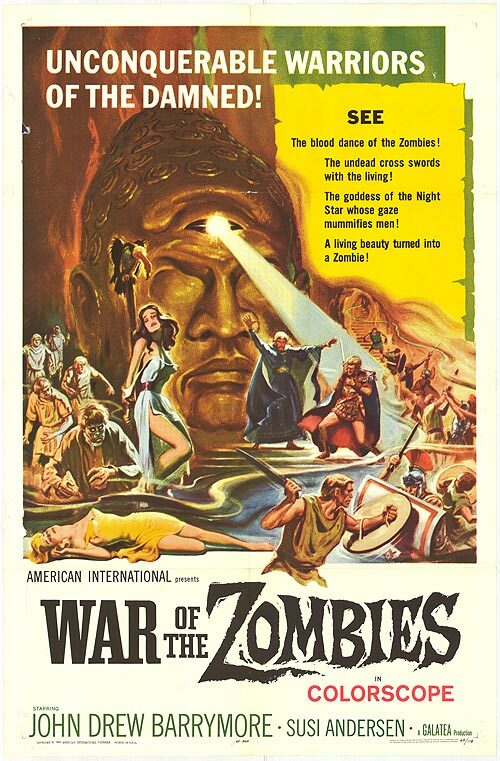 Luckily War Of The Zombies from 1964 is not just another Sons of Hercules muscle-fest, but an ambitious fantasy-horror ranking comfortably near Mario Bava’s Hercules In The Haunted World and Riccardo Freda’s The Witches Curse. In War Of The Zombies, however, there’s no Hercules, Samson or Ursus as the beefcake-flavoured focal point. 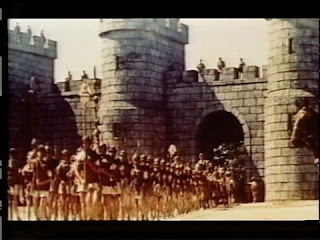 Instead the film’s hero is Roman centurion Gaius, sent without his troops to the troubled Salmacia province to investigate Rome’s missing tribute. In the opening sequence Roman troops carrying treasure from Salmacia back to Rome are butchered by barbarians, stripped of their armour and their bodies stolen by deformed scavengers. It appears the entire province, including its weak Roman pretern Letitius and his double-crossing snake of a wife Tullia, is under the spell of a devilish cult dedicated to the Moon Goddess and “daughter of Isis”, whose Oath of Blood is performed under the blazing high beam of its enormous stone bust’s single Third Eye. 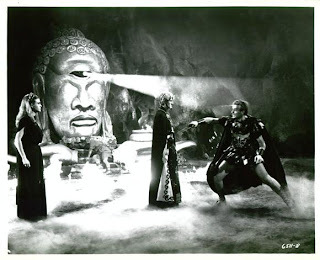 Through Letitius’ slave girl Rhama, held in a trance by the cult’s high priest Aderbad, Gaius learns of its plan to revive the spirits of the dead Roman soldiers and lead them into an ultimate showdown against their own living comrades. Sounds incredible, and to a certain extent it is. This IS a peplum, let’s not forget, and as such there are dry patches of wooden dialogue and stiff-as-corpses emoting to suffer. Once we wade through the regulation courtships and betrayals, however, we’re presented with the payoff: a magnificent low-rent but surprisingly effective battle between the living and the dead, smothered with superimposed colour swirls of saturated reds and blues (Mario Bava’s favourite palette for supernatural effects). Rather than rotting corpses, the Moon Goddess’ army is presented as ghostly figures, their otherworldliness underscored by slow motion cameras and an eerie echo-laden soundtrack. Just as impressive is the over-the-top performance of their leader, high priest Aderbad, played by John Drew Barrymore (son of John Barrymore, father of Drew Barrymore) in one of his numerous Italian film appearances between numerous cocktails in the early Sixties. 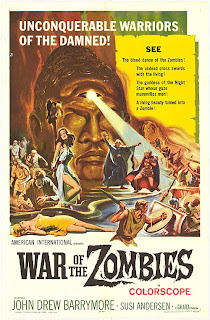 Quasi-psychedelic, and several notches above your ordinary Italian sword and sandal, is the zombie-themed peplum chiller Rome Against Rome, or War Of The Zombies.